Price: $18990 - Already a collectible for you! Our offer today is a very low miler 1993 Convertible with only 4000 miles... Needless to say, it is in excellent condition with only a clean documented history. Options include the dual power seats and the selective ride with an original MSRP of $44950! All is original on the car and in working order. Are you ready to add a C4 to your collection? This is the one! Located in Tennessee, we can arrange delivery all over the world. 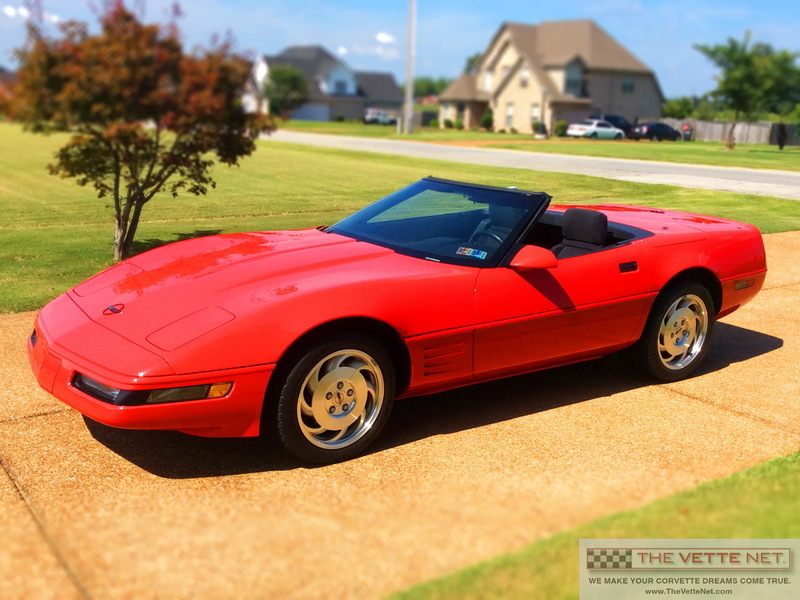 In business since 1998, THE VETTE NET (on the Net at www.TheVetteNet.com) has established itself as the premier source for buying, selling and leasing Corvettes, with thousand of enthusiasts assisted nationwide and international. We are fellow Corvette Club members, we drive Vettes, we live the life-style, and enjoy the hobby. Our Motto is "UnderCommit - OverDeliver" and we guarantee a pleasant and straightforward experience. Do you have a Vette for sale? If yes, you may want to take advantage of our unique FREE marketing program requiring no upfront fee and no exclusivity.